The Biggest Loser is a reality television series that features obese contestants competing to lose the highest body weight percentage. 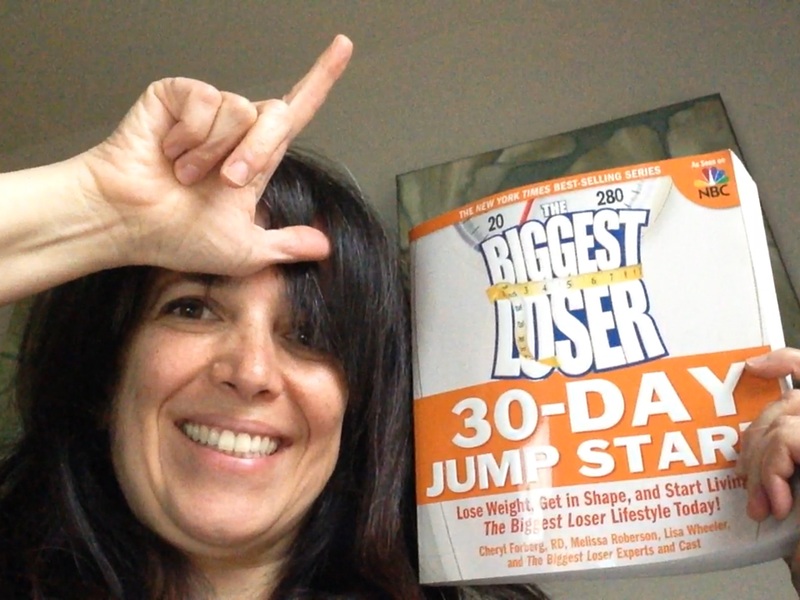 Sequestered on the Biggest Loser Ranch, participants focus solely on fitness and nutrition under the guidance of their trainers. Since only a select few get this opportunity, the creators of the show designed the 30-Day Jump Start program, using the series’ principles for the rest of us to apply at home. The book is easy to follow and reminds me of a daily devotional. Each day starts with either a motivational message, medical advice, or nutrition tips. 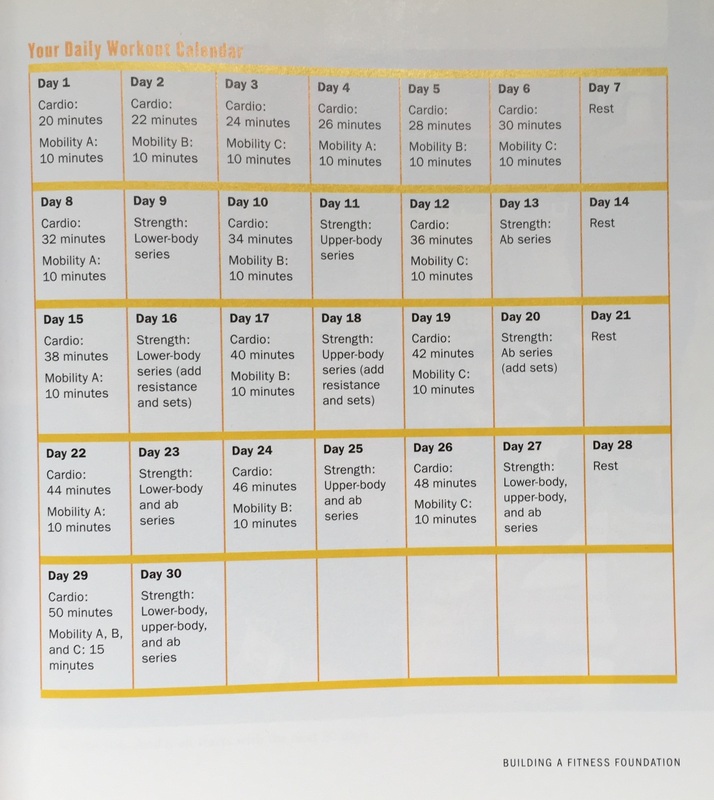 It then outlines the menu of the day, along with the recipes, and ends with the exercise plan, complete with instructions and photos demonstrating the correct technique. The plan follows the 4-3-2-1 Biggest Loser Pyramid, which consists of a minimum of 4 servings of fruits and vegetables daily, 3 servings of protein, 2 servings of whole grains, and 1 serving of the ‘extras’ (200 calories daily of healthy fats). Carbohydrates – 45% of daily menu: vegetables, fruit, and whole grains with every meal. Protein – 30% of daily menu: Animal protein, dairy, or vegetarian protein with every meal and snack. Lean red meat should be limited to no more than twice a week. Healthy Fats – 25% of daily menu: Olive oil, canola oil, avocado, nuts and seeds. Each day’s menu will supply you with 1,500 calories, a total that you can tweak up or down according to your needs. You’ll eat five times a day – breakfast, lunch, dinner, and two snacks – taking in about 375 calories per meal. You’ll eat 4 cups of fruits and vegetables every day, and you’ll have some protein at each meal and snack. NOTE: I will likely be repeating the menu for a second day, as recipes are often for multiple servings. Exercise is essential to this plan! I will workout 6 days a week and have one day off. The plan starts you off slowly and increases the duration and intensity a little bit each day. I am blessed to have my friend Nikki, a professional fitness trainer, coach me through the exercise component of this month’s plan…. It will be like being on the show, but with less shouting and tears! Most of my workouts will be at home using my elliptical machine and my new Lebert Equalizer versatile strength training bars. In keeping with the spirit of the show, I will face each day as if I was a contestant competing with… well, myself. I will look at life’s challenges and food temptations as enticements targeted to get me voted off the ranch. And when I do my weigh-in at the end of the month, I will present myself with a giant phoney cheque and sprinkle confetti in the air, because I will of course be crowned the Biggest Loser!